Bruker is proud to introduce the IntraSpect 360 system. As the newest member in the Bruker family of in-situ mechanical test instruments, the IntraSpect 360 brings quantitative mechanical property characterization to X-Ray microscopes (XRM) and beamlines. This unique system can be used to perform a variety of mechanical tests such as indentation, compression, fatigue, and bending, which can then be correlated to 2D or 3D images from the host microscope. The IntraSpect 360 features a seamless, X-Ray transparent viewing window for unobstructed imaging and streamlined μCT studies of material deformation, including fracture and the onset of failure. With up to 10N of maximum force and 80μm of displacement, the system is a versatile choice for characterizing the internal deformation processes in a wide variety of materials, such as composites, ceramics, metals, and natural or biological materials. 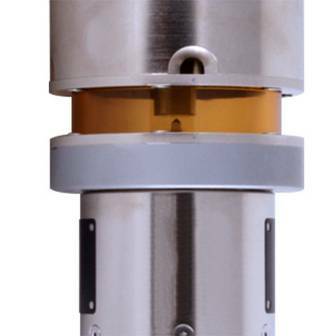 The IntraSpect 360 utilizes a unique piezoelectric load cell combined with Bruker’s trusted three plate capacitive transducer technology. This arrangement allows for a significant increase in the available displacement range, while maintaining an ultra-low noise floor. The system’s exclusive design results in very little heat generation, creating unparalleled stability while in-contact with a sample allowing tests as long as 168 hours to be performed accurately and reliably.